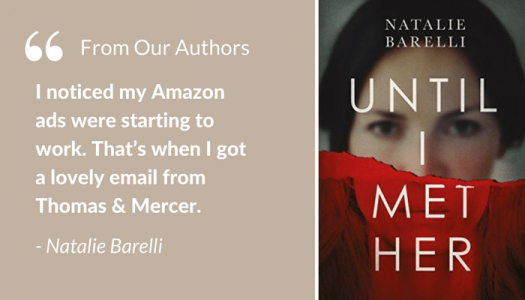 Last year we spoke with author Natalie Barelli about striking a big item off her bucket list: writing and publishing her debut novel, Until I Met Her. Less than 12 months later, Natalie has been signed by Amazon's thriller imprint Thomas & Mercer, and her novel is undergoing a re-release. 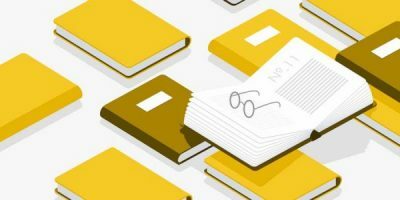 In this article, she talks the bumpy road of self-publishing — one that has been full of trials and tribulations. However, she's a true example of the saying, “If at first you don’t succeed, try, try again.” In a year, Natalie has turned publishing mishaps into lessons, and, clearly, her perseverance is being rewarded. In the middle of last year, I self-published my first novel (read all about it here). After a slow start, my book took off, by my standards anyway. It was around that time Amazon's thriller imprint Thomas & Mercer got in touch with me, offering me a book deal. So how does one go from self-publishing a debut novel to a contract with Thomas & Mercer? Well, you need to start with a good story. That’s my favorite part of the whole process, coming up with a good plot with lots of twisty plot points. 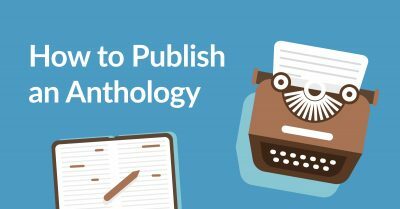 After you’ve written it all down, you put your manuscript through a few rounds of edits and then find yourself a great cover designer. And, voila! Wait for the offers to roll in. When I published Until I Met Her, I decided to be exclusive with Amazon, for a while anyway, to take advantage of their promotional features. 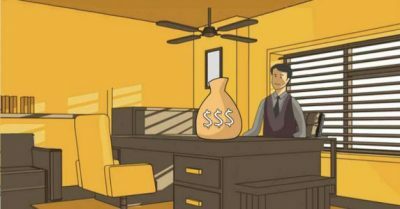 I did all the right things: I put my novel at $0.99 for the first week and found some good promoters. But let’s face it, when you launch your first novel, you do it with zero reviews, zero followers, zero people on your mailing list, zero submissions, and zero history. Very few ebook promoters or bloggers will have you with so many zero's. I watched that 30-day cliff come and go without so much as a ripple. 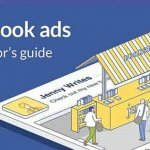 But I listen to publishing podcasts and I read the Reedsy blog, so I knew that Facebook ads were going to be the answer. I booked some campaigns and played around with those for a while. 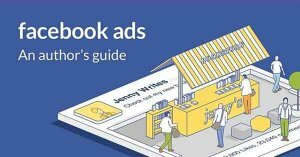 Now, in my ‘other’ life, I’m a web developer, so I do have an understanding of web interfaces, and there’s plenty of excellent advice out there on optimizing a Facebook ad campaign. But after a couple of weeks of trying it out, even with my developer background and conducted research, all I got out of it was... absolutely nothing. I don’t think I made a single sale. Granted, it was a standalone novel being sold at full price and with very few reviews. But still, I could have just given Facebook money and saved myself the trouble. About a month after I launched the novel, I listened to an interview by the very talented and generous indie author Rachel Aaron where she said, “Your first 1000 sales are the hardest.” Based on her advice, I calculated that it would take five hundred weeks to reach that milestone at my current selling rate. So having come to the conclusion that this self-publishing business was going to be a lot harder than I had thought, I submitted my novel to a boutique digital publisher that does very well in my genre, thinking about how nice it would be for someone else to worry about book sales and visibility. But they weren’t interested. Meanwhile, the positive reader reviews did start trickling in, so I waited until I gathered ten — the minimum threshold for many book promoters — then scheduled a Kindle countdown ($0.99 for one week) and booked with as many book promoters as I could possibly find. I also created AMS ads, a fairly new Amazon feature at the time that let me advertise my book below the 'also bought' section of other books. 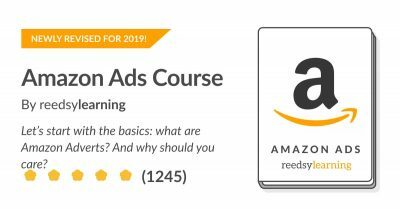 Want to level up your knowledge of AMS ads? Enter your email below and select 'Marketing - Amazon Ads for Authors' in the drop-down menu of the next pop-up. It was during this Kindle countdown when things started to change. I checked my sales dashboard obsessively, as you do, and was ecstatic one day when I logged in and learned that I’d sold 20 copies in one day. I wondered if this would be my sales peak, but the next day I sold 50 copies, and on the last day of the promotion I sold 200 copies. I knew that when the price went back up, sales would soon dwindle, so I scheduled AMS ads every day once the promotion had ended. When the ads worked, resulting in clicks and sales, my novel would begin to appear in the ‘also bought’ section of books on its own due to it's rising popularity. At that point, I would remove the ad and wait until sales dwindled again before scheduling a new one. I managed to sustain the ranking for a while that way, and that’s when I got a lovely email from Thomas & Mercer. Thomas & Mercer gave Until I Met Her a new cover and further rounds of editing — by now that book has been edited more times than I care to admit. This was mostly due to the fact that the story is set in New York and I’m Australian, and no matter how hard we all tried the first time around, some of my language didn’t come across as authentic. It’s been quite a process, but Thomas & Mercer has kept me thoroughly involved, asking for feedback and approval every step of the way. 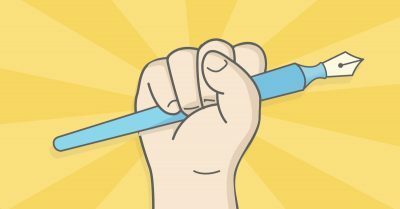 Of course, when a small army of professionals wants to improve your book, you’re hardly going to stop them. Until I Met Her is still on preorder as I write this, going live on May 30th, so as of yet I have no idea what being published by Thomas & Mercer will mean for the future of my novel. A lot of books under Amazon imprints like Thomas & Mercer do fantastically well, but not all of them. For instance, I know that my novel will not be featured in the Kindle First monthly offerings (what surely is the pot of gold at the end of the rainbow of self-published authors on Amazon), because it’s a re-published book and therefore doesn't qualify. So in a way, it’s as much of an experiment as, say, Facebook ads or Kindle Countdowns. But when you’re indie, that’s one of the luxuries and responsibilities you have: to experiment. Until I Met Her is available on Amazon. Please share your thoughts and experiences, or any questions for Natalie, in the comments below!